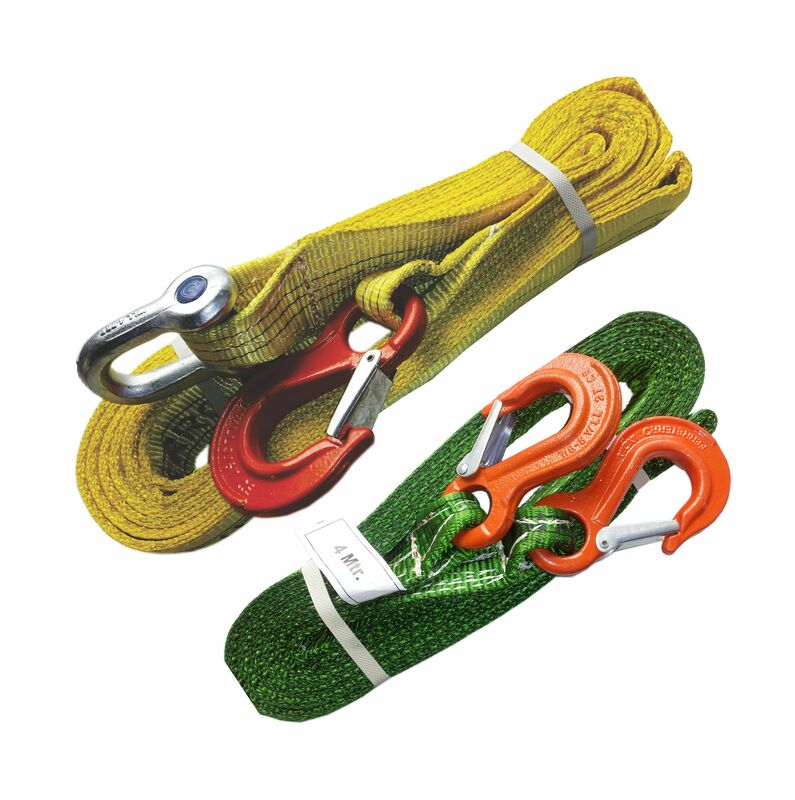 Tow Straps – FERRETERRO INDIA PVT. LTD. Very small in size. Can be kept easily anywhere. Does not damage vehicle like chain or wire ropes. Very low in prices as compared to tow charges. Peace of mind as backup is always there. Anyone stuck is always ready to pull vehicle to side off road. Manufactured as per strict EN standards. Good solution for vehicles stuck in Traffic jams. No need to wait for crane or recovery vehicle. Easy to carry in glove box. Can be used to tow any vehicle like Cars, Autos, Buses, Trucks, Tempos, Motor cycle, Even heavy trailers. Special size and length for Rally vehicles and Earthmovers also made on special request..